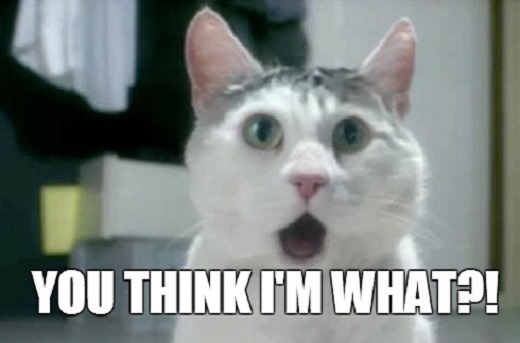 Are all SEO people crazy? Home → SEO News & Tips → Are all SEO people crazy? Join any social media network and you will see two things almost immediately. Spam and SEO people (or sometimes “SEO people” spamming). I myself avoided the SEO title for many years. SEO is a four letter word to many people. Unfortunately, on some networks these people think they own the place. I went through this myself. In 1991 the WWW basically stood for Wild Wild West. I was 13yrs old and was armed with proxies, scripts and an above average level of UNIX knowledge. There were no websites yet (well, there were 10, which very few people visited). People mostly traded warez (borrowed software), ASCII art, textfiles, or visited IRC to get the latest FTP information. I had many great chats on there with well known hackers such as Captain Crunch. Everyone had something to trade and if you were deep in the scene you could even get 0day. People in the know easily “owned” the Internet in this time. If I didn’t like what someone was saying on IRC I could ping them, obtain their IP address, and drop a smurf attack on them. This basically flooded their modem with data and they would lose their Internet connection. You could knock them right off the Internet for the remainder of the day if you wanted to. Of course, I was just a kid at this time and just goofed around with a group of local buddies who had the same interests as myself. Soon I put my efforts into helping people. I started offering free Internet email to the public through my BBS, served up antivirus updates, news, weather information, and eventually went on to study network security, intrusion detection, configuring firewalls and went on to work on networks. But, for a while, I thought I owned the place. 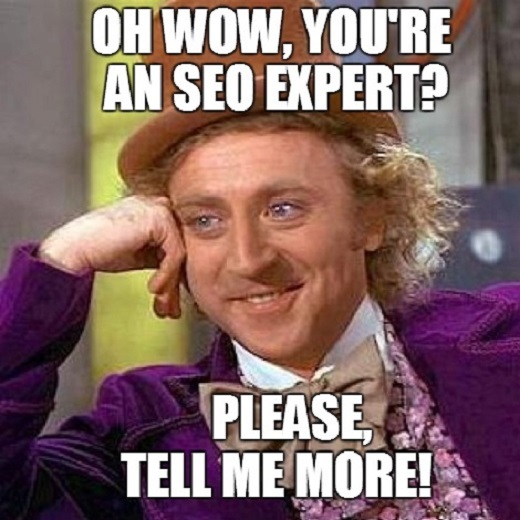 As a seasoned veteran of the online world you can only imagine my dismay as I run across my 17,149th newbie that rolled out of their bed in their mother’s basement and decided that they were an SEO expert. Of course, my early experience has nothing to do with search, but my abnormal curiosity to see how things work has everything to do with it. Should you avoid SEO people online? There are a handful of helpful SEO people online, but there are 4,000 dummies for every good one. For some reason, the dummies are eager to spread their ignorance all over the place. Many seem to have all the time in the world. It is very obvious to me that if someone is sitting online all day long that they clearly have no clients. Then again, many of the good SEOs spend no time on social media, so how are you supposed to find them? If someone wants to DIY their SEO, what should they do? Every case is different but for most small business owners the solution is simply to get a responsive WordPress site and start blogging. While there is more to it, blogging is creating content and creating unique content around the same niche repeatedly makes your site a topical authority, boosting it in the SERPs. The majority affect the minority. Unfortunately there are also SEO firms out there that over-charge and under-deliver. You might be interested in reading about my Q&A with a top SEO Salesman. He explains what companies get for their money, and sometimes it is nothing. Other “SEO firms” actually do more harm than good. They go out and seek links. You can still rank sites via links in 2014 although the long term affects of low quality link building are disastrous. Some sites even end up penalized. A once burned (and now educated) client is my favorite to have as they understand the value that they are receiving. I found a personal injury attorney online the other day who was doing everything right. I was amazed. I discovered the marketing firm who was hosting his website. Out of curiosity, of course, I called them to see what they charged for content development for a personal injury attorney. Unfortunately the response I got was terrible; they insisted that the niche was simply too tough and that I needed a carefully managed PPC campaign. Ugh. Real SEOs produce real results. If you are searching for SEO and the marketer you’re talking to thinks they can rank you without some sort of content development, content strategy or content marketing, run! Real results are possible with SEO and content. To see what real results look like you might want to read about a case study of a business with an outstanding Internet presence here. So, are “all” SEO people crazy? 99+% of them are. Yes. But SEO is a real thing, and exposure for businesses is more important now than ever. There are some extremely smart people in the field, but, there are many, many morons in it. The cold calls you get, the emails that say “increase your traffic now!”, and many of the SEO people sitting around online all day long are pretty much crazy. Most of the good ones are employed to do research, are self employed, or own SEO companies. Finding them is tough. I have10 or so SEO people that I really love and I dish out their names anytime anyone asks me for them without hesitation. Would you please recommend me some SEO experts to follow? http://www.seobythesea.com – This is a helpful and informative site. If you want to hear patents broken down and read about algorithm signals, this is a great source. I highly recommend it. I am also a fan of Dr. Pete. The Mozcast is pretty awesome. A friend of mine owns Wojdylo Social Media. Jesse doesn’t post much informative SEO related content, however you never know what you will see next on that site. He is very creative and I’ve personally worked with him on projects. His mantra is the same as mine- just create content. I can’t disclose it here but most people would be amazed at what we’ve ranked simply via content. I also personally follow some random people in the blackhat world- I do not use their tactics but there are some very clever people in that world that have a lot of experience ranking all sorts of various key phrases.